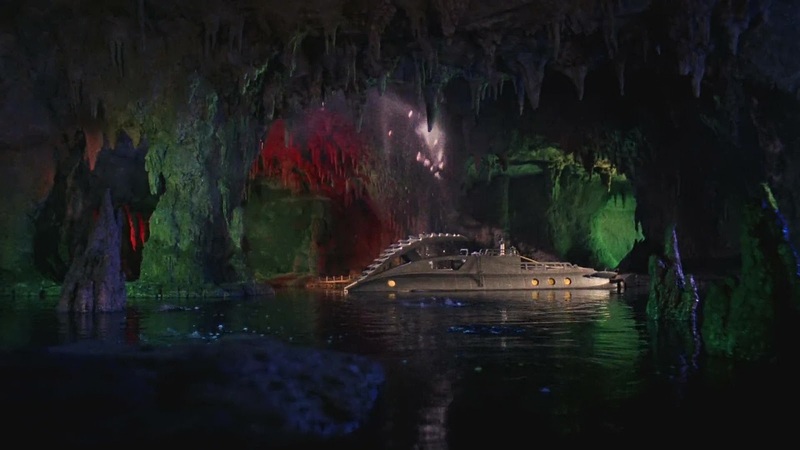 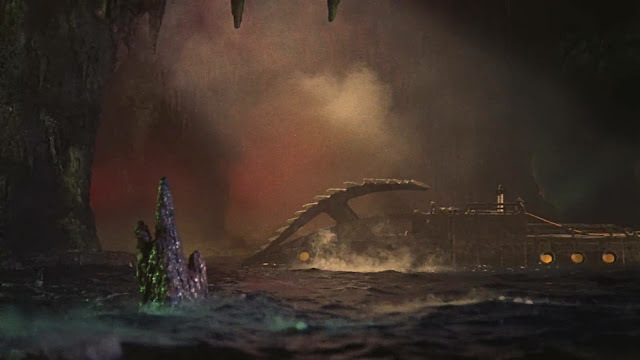 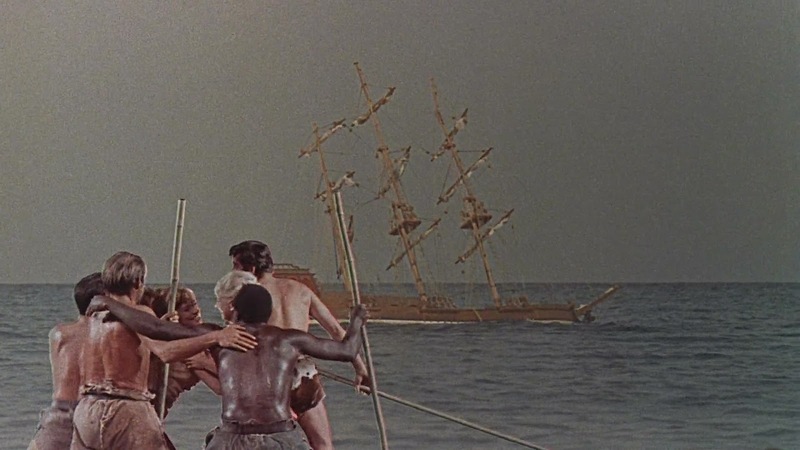 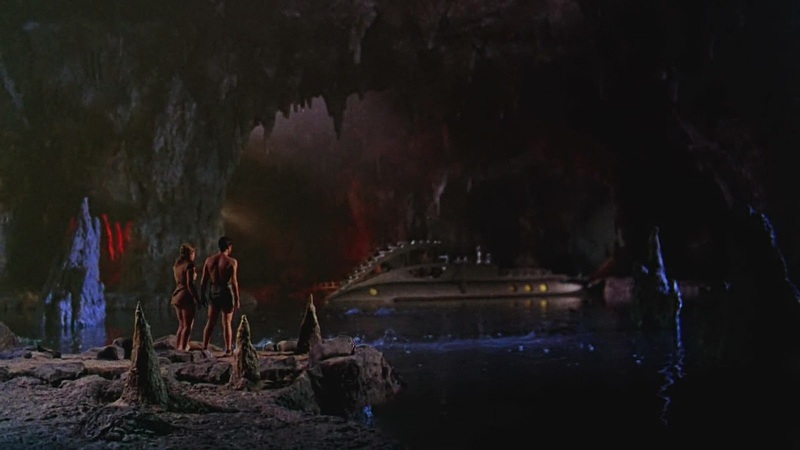 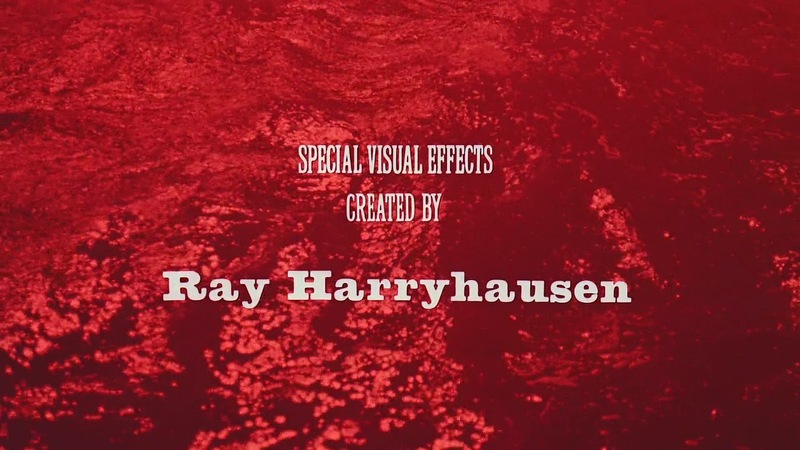 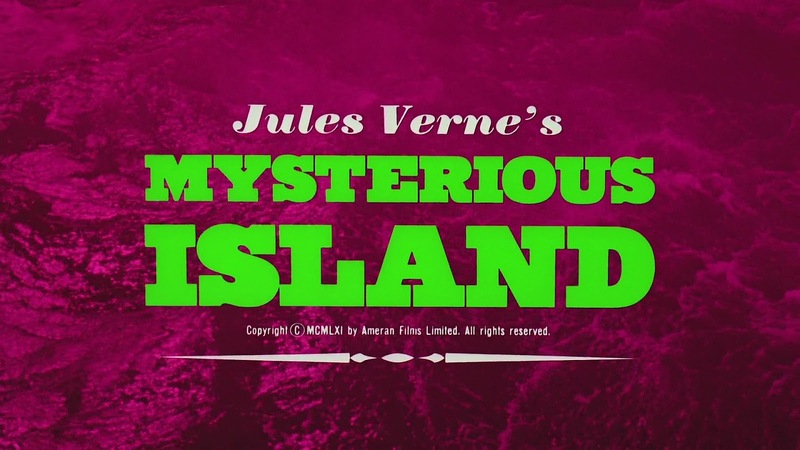 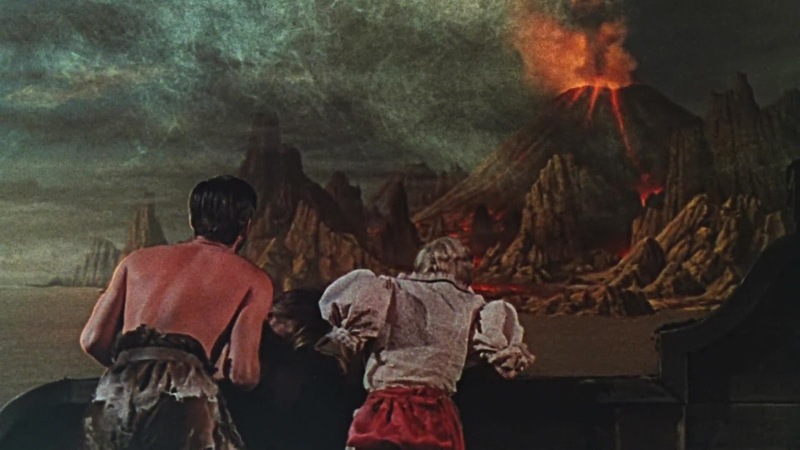 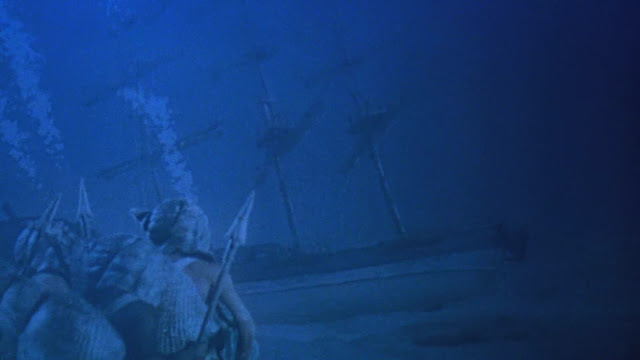 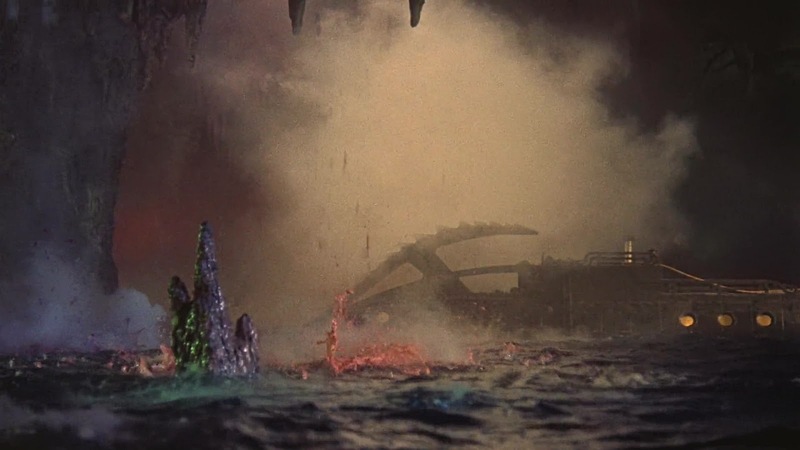 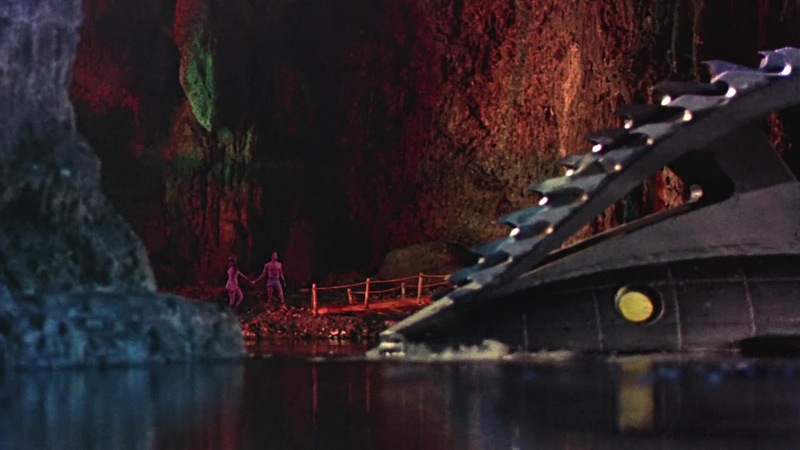 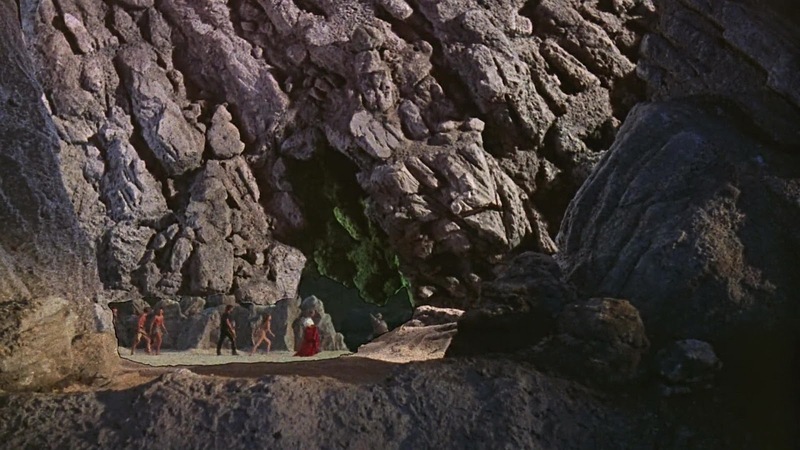 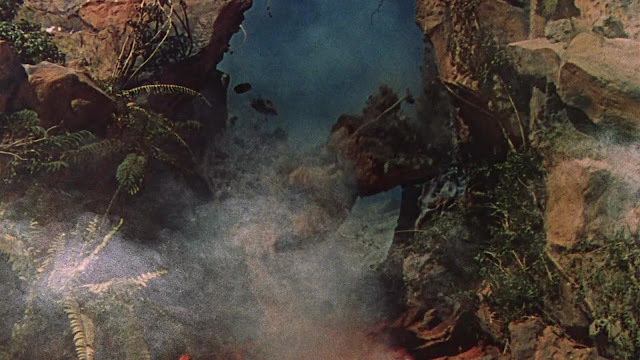 Continuing with the Ray Harryhausen films that have model ships in them is Mysterious Island. 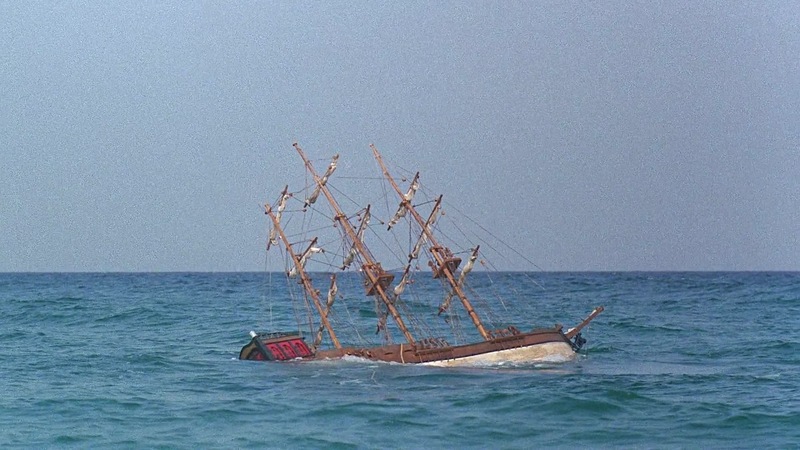 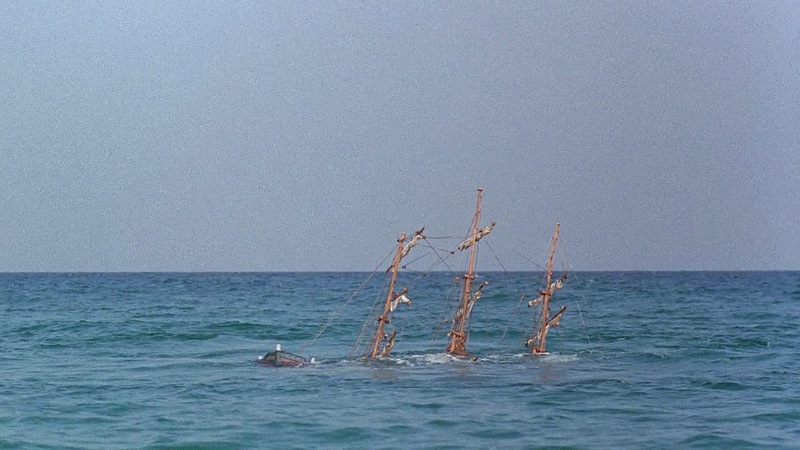 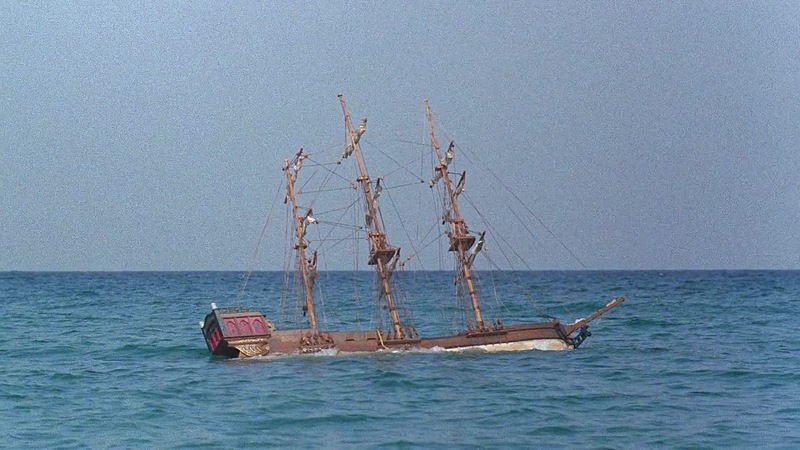 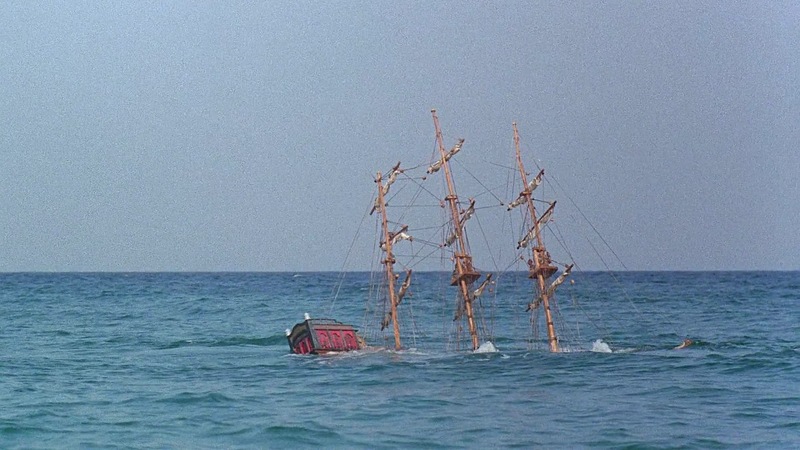 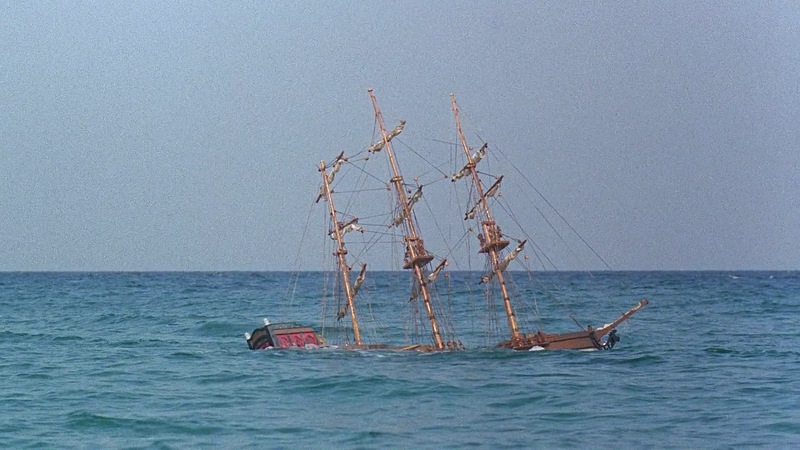 There was a miniature version of a full size pirate vessel used for a sinking and subsequent raising scene. 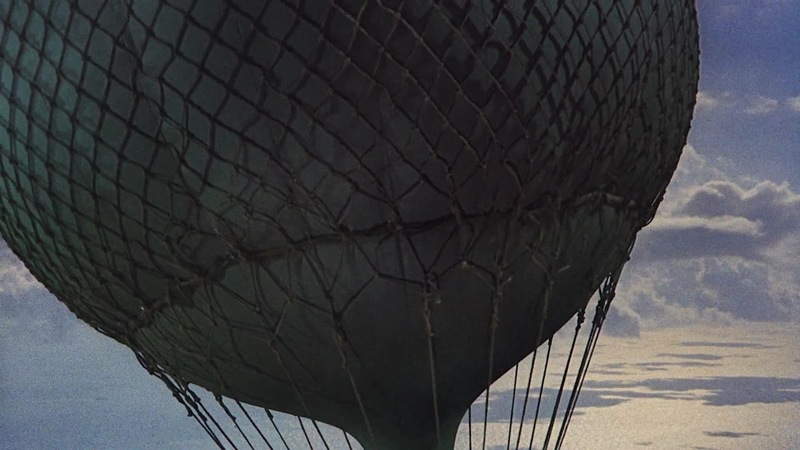 It was attached with cables to concrete blocks on the sea bed off the Spanish coast, so it could be pulled under in a controlled way. 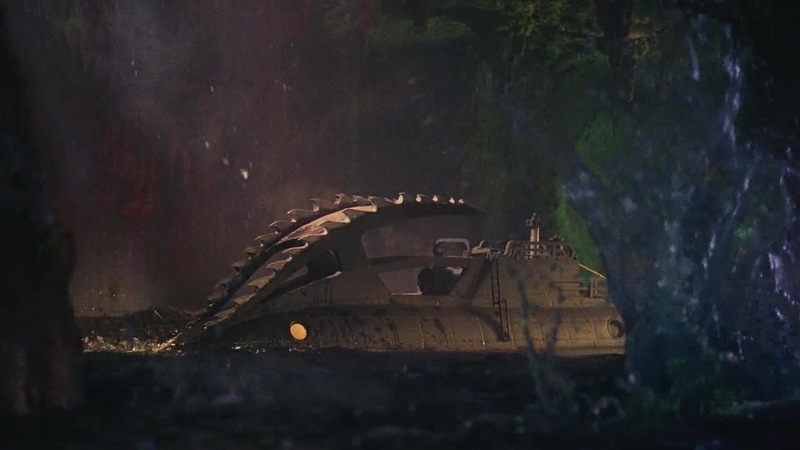 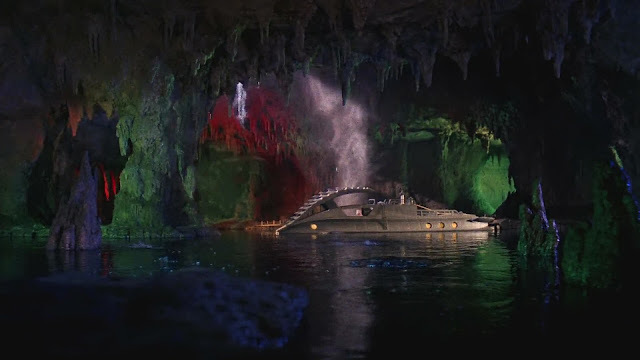 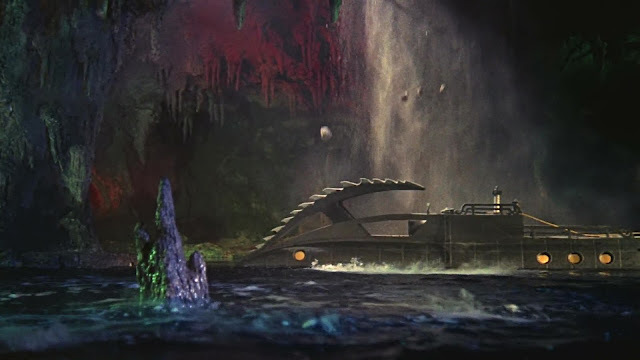 There is also a version of the Nautilus designed in a similar vein to that from that from Disney's 20,000 Leagues Under the Sea but without infringing copyright. 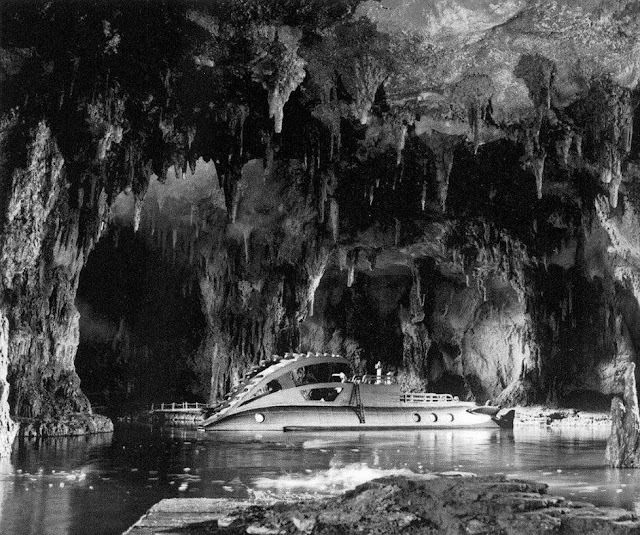 This model is only seen moored inside a miniature cave set. 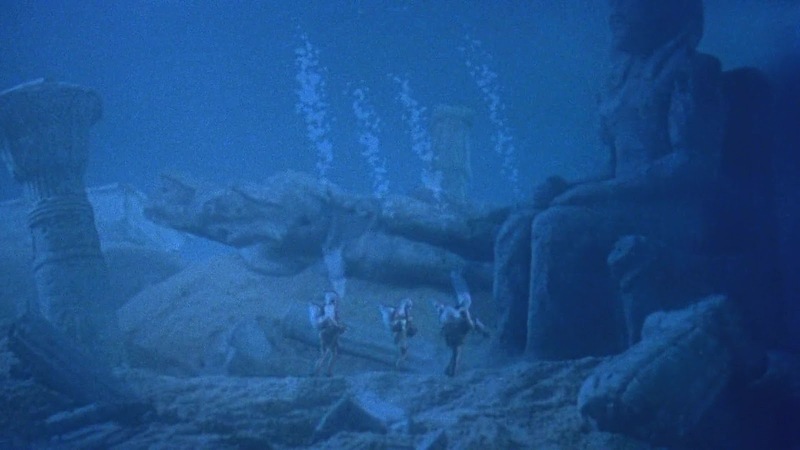 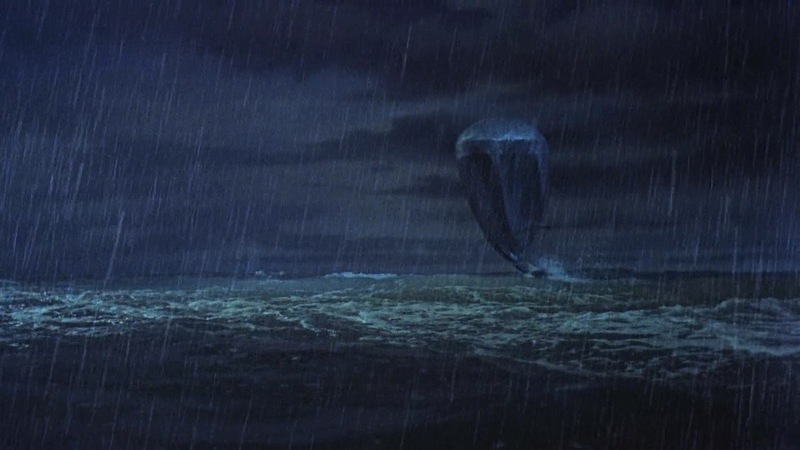 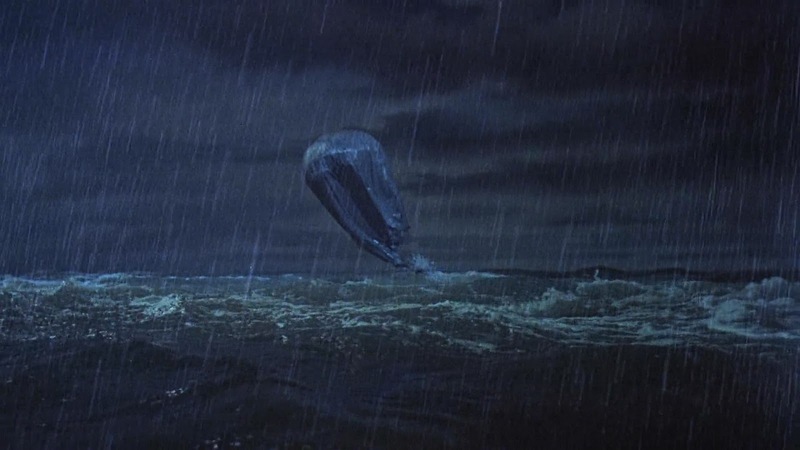 In Ray Harryhausen's "Film Fantasy Scrapbook" he states the Nautilus miniature at being 10 foot (3m) in length whereas in a later book "Ray Harryhausen An Animated Life" it is said to be 5-6 feet long. 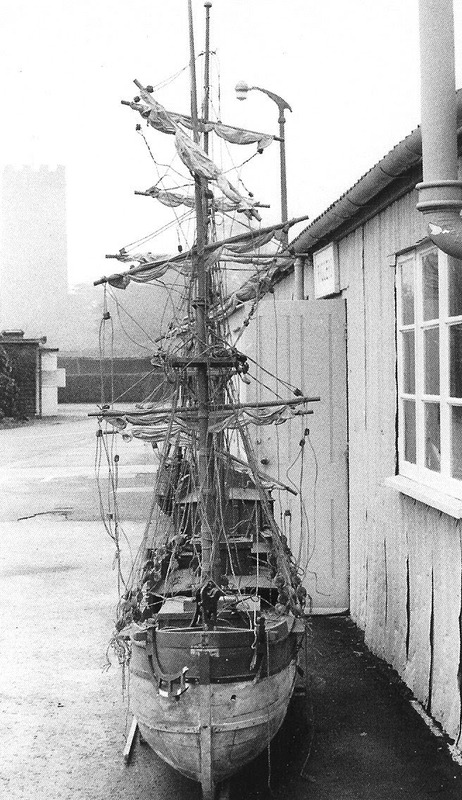 Pirate vessel miniature outside the Spanish Studio. 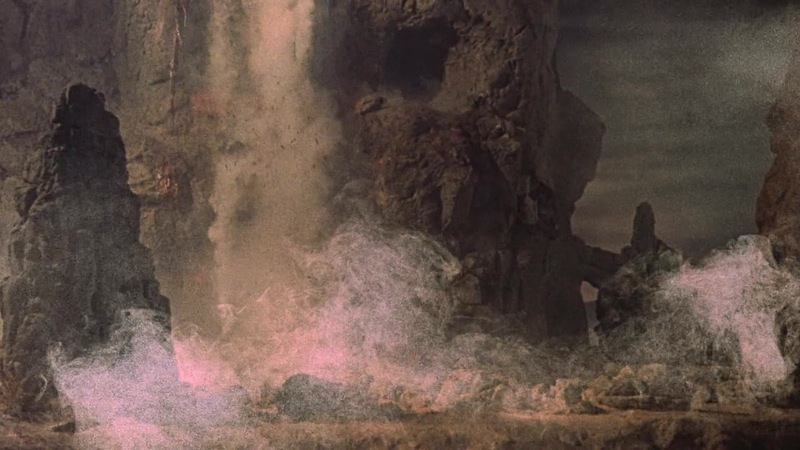 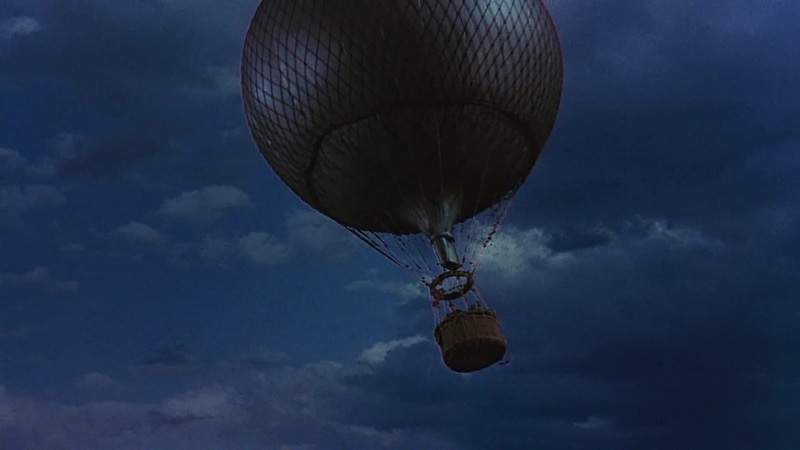 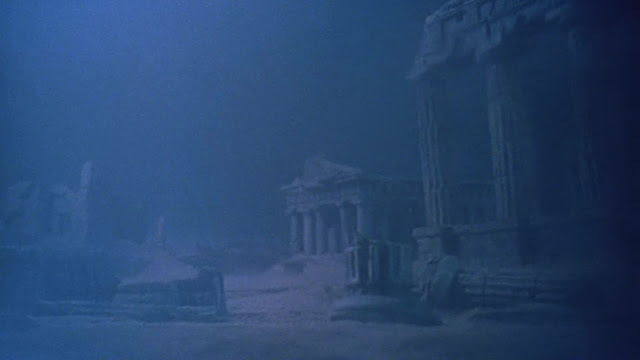 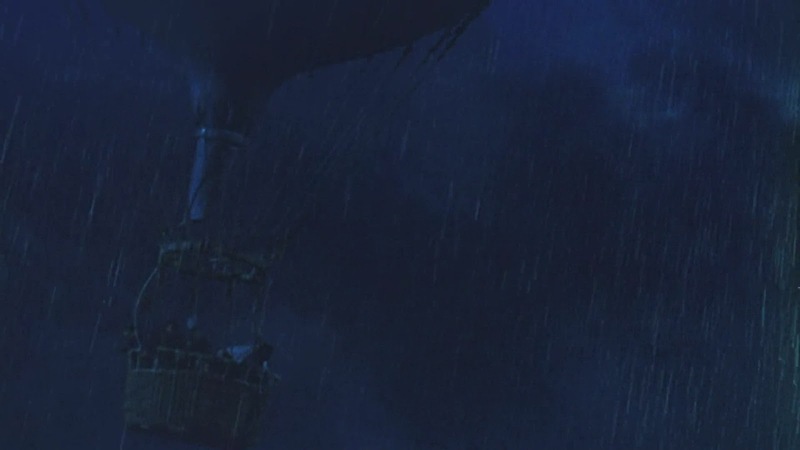 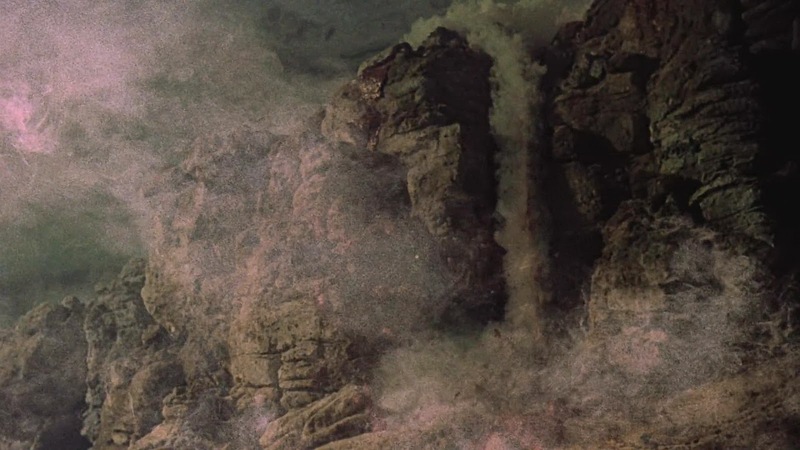 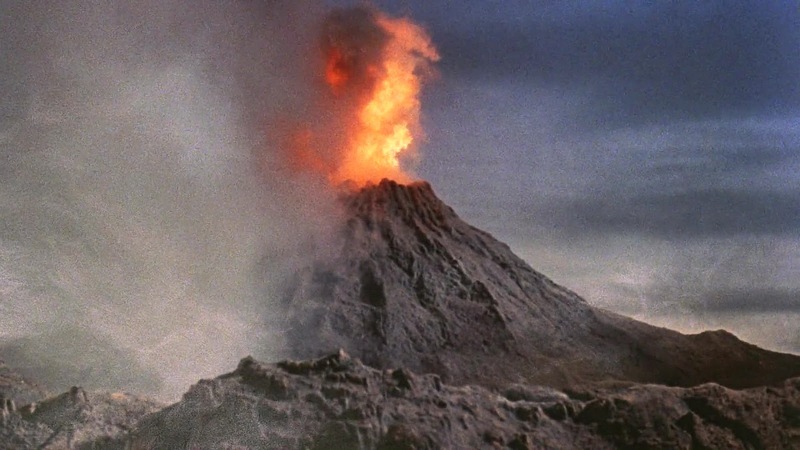 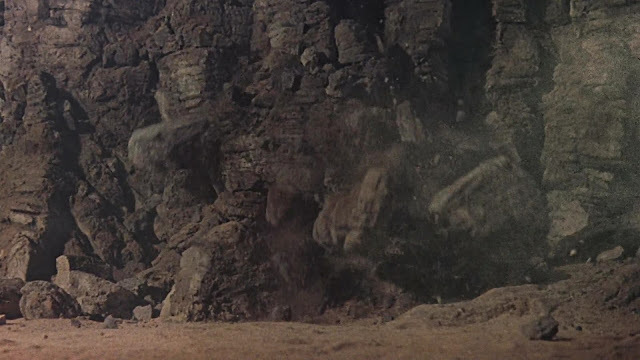 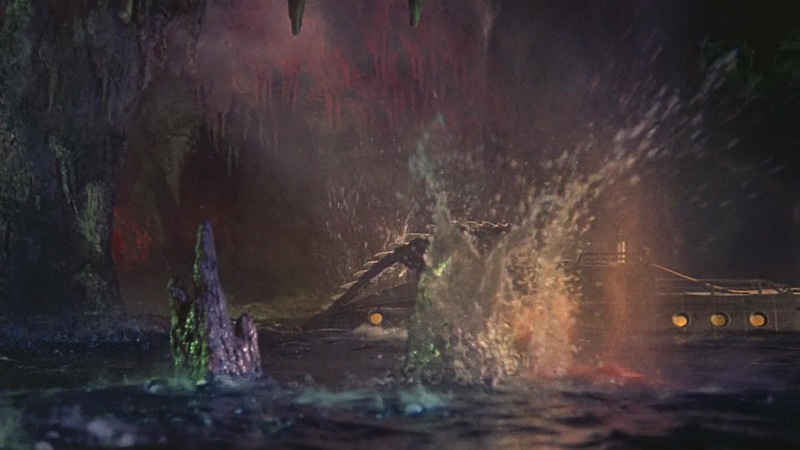 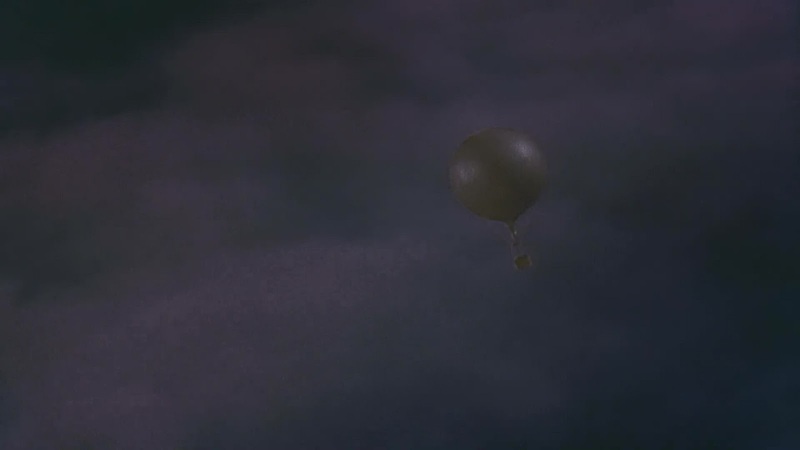 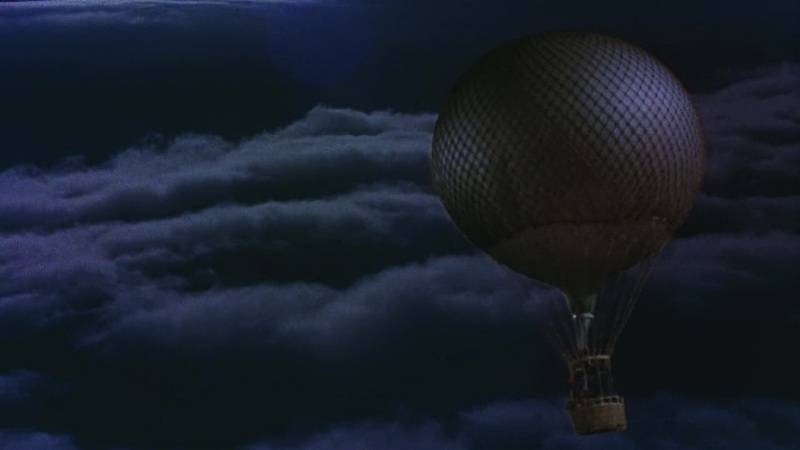 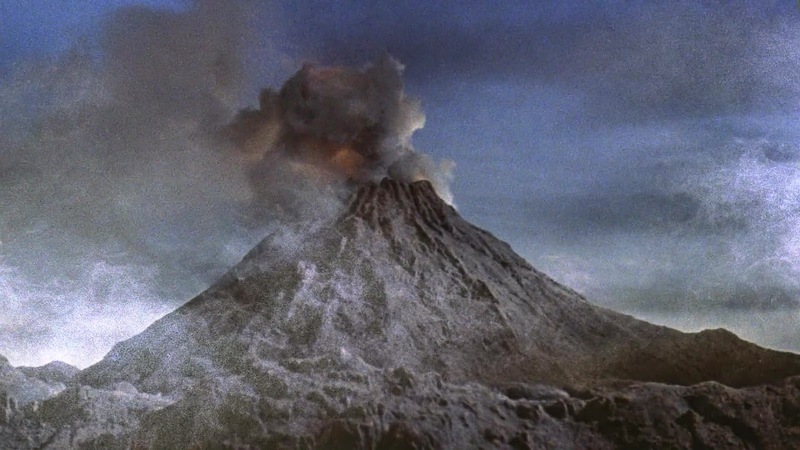 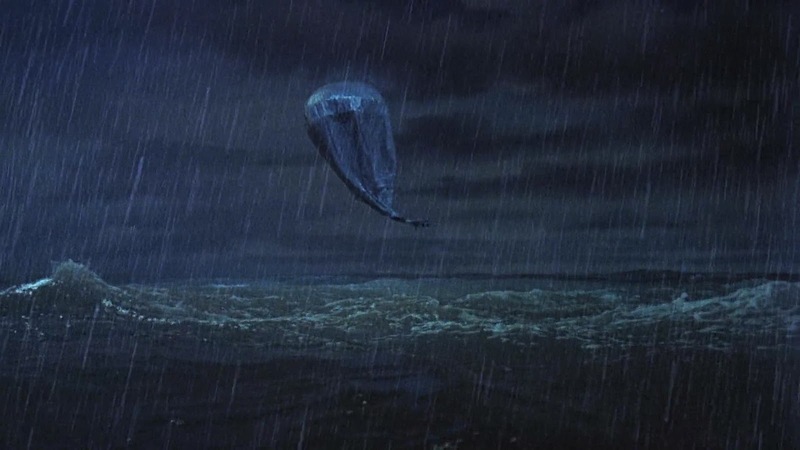 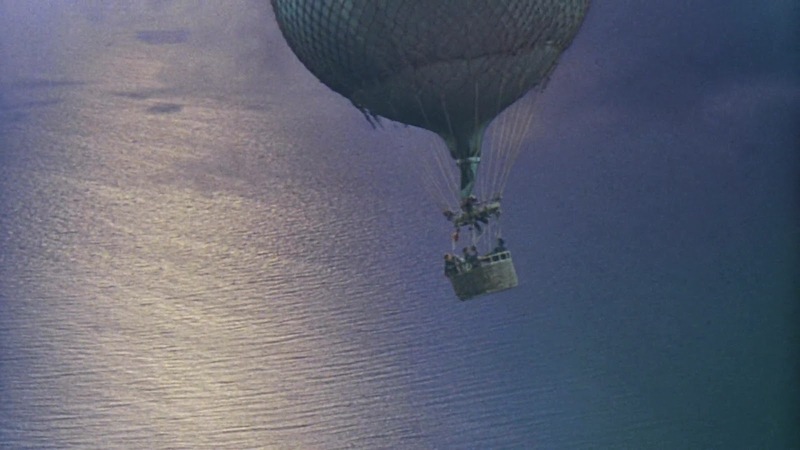 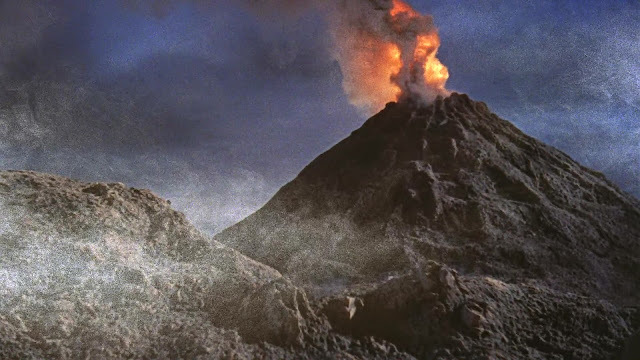 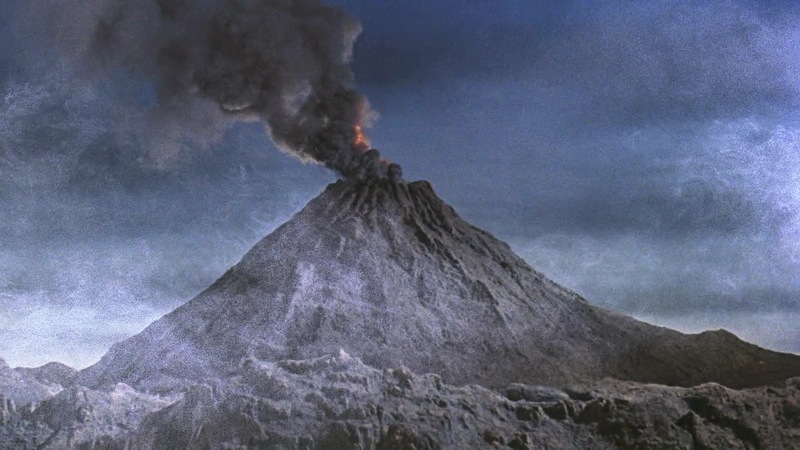 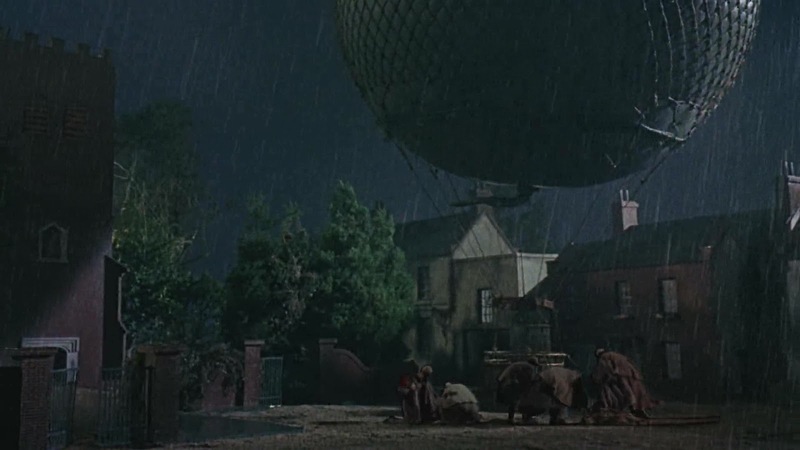 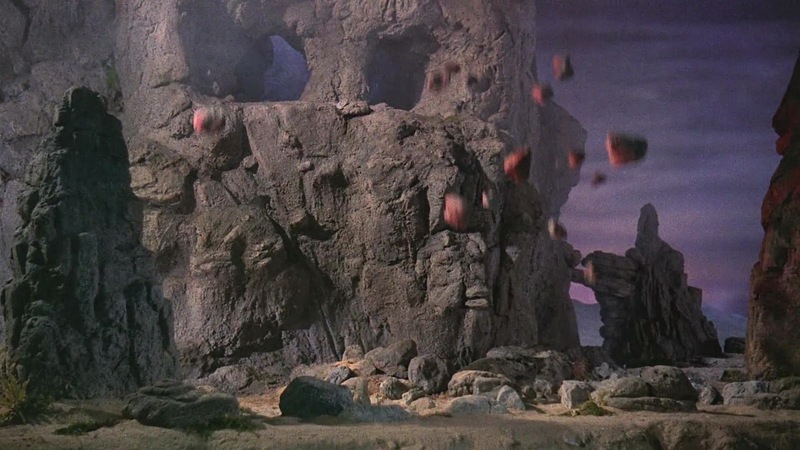 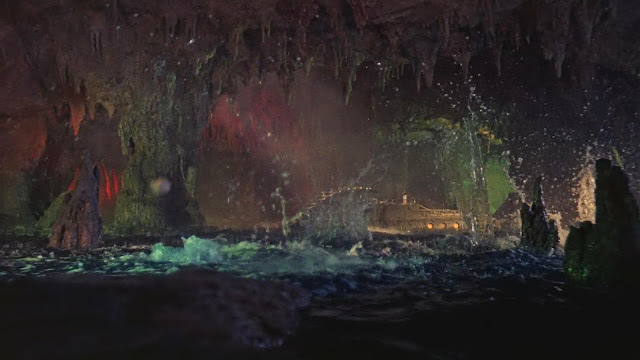 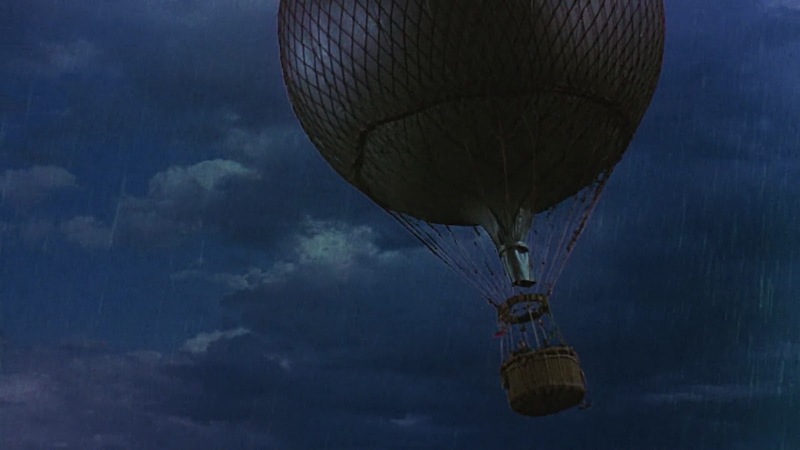 Other miniatures of note were the entire town square and balloon used in the opening sequence (live actors were added to the scene with the use of traveling mattes), a sunken ancient temple, miniature version of the rocky cliff cave and a volcano that erupts . 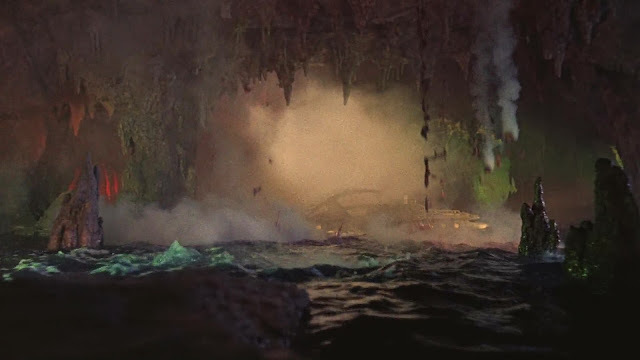 The volcano smoke was shot at 96 frames a second as was the miniature Nautilus in the cave. 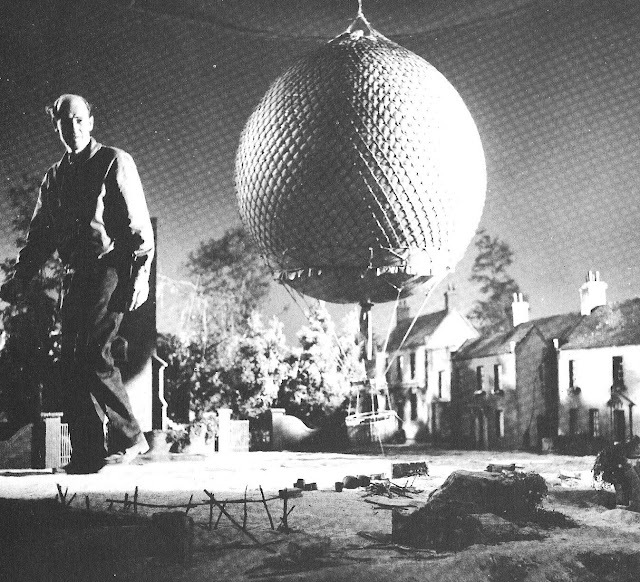 Ray Harryhausen on the miniature town square set with the miniature balloon. 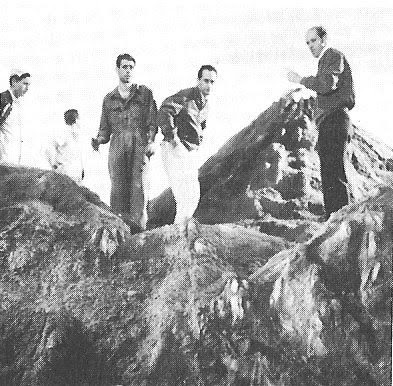 Ray Harryhausen (right) with technicians prepping the miniature volcano set. 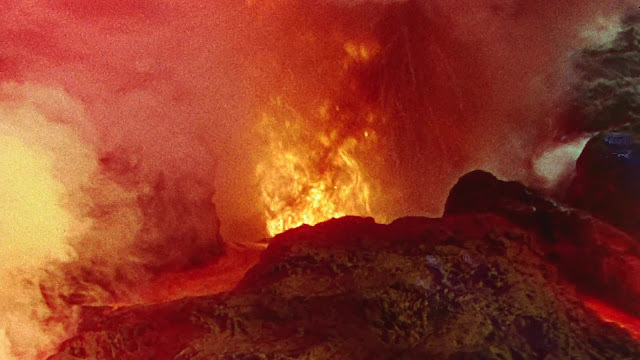 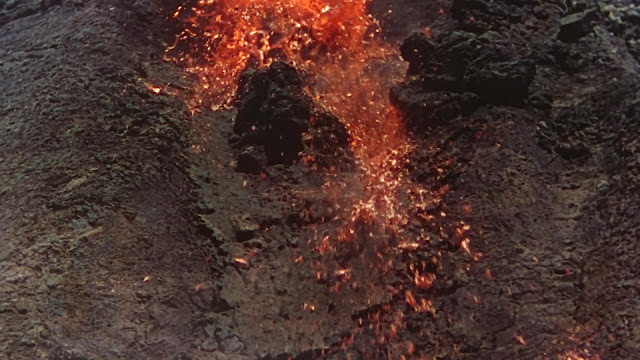 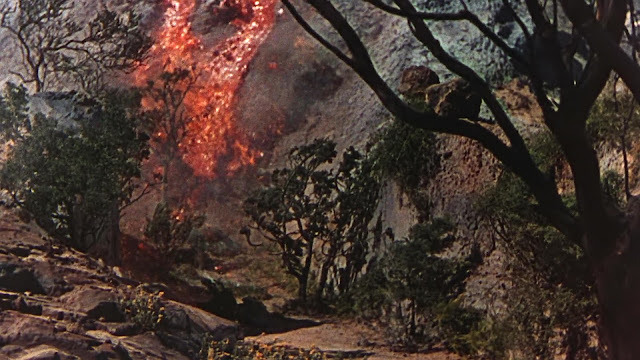 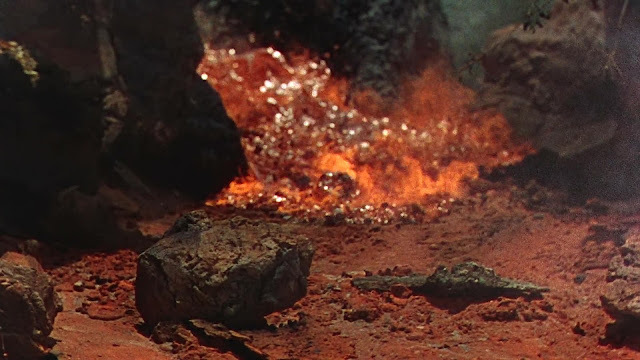 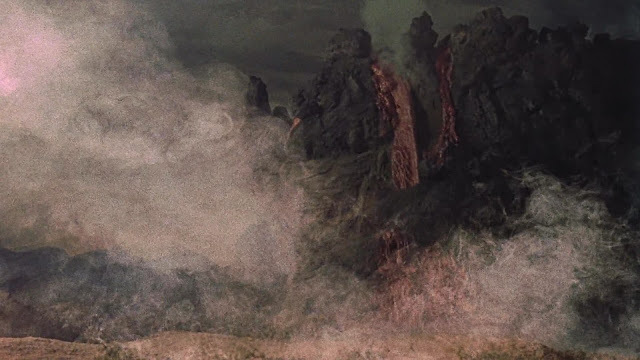 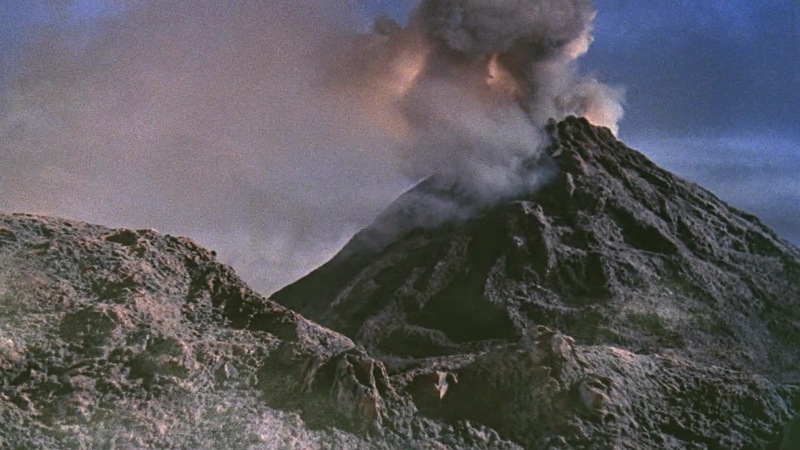 There are a few shots of lava flows in a miniature landscape that I am sure I have seen elsewhere so I suspect they are stock footage from a previous production. 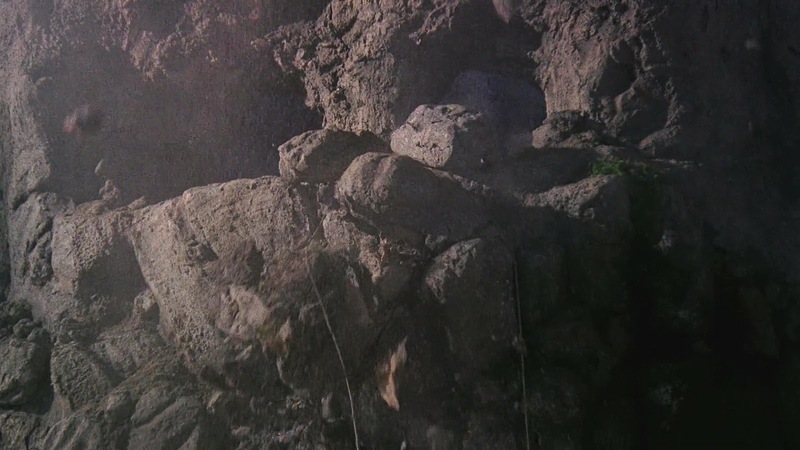 Note: See reader comment below for details on where that footage has been lifted. 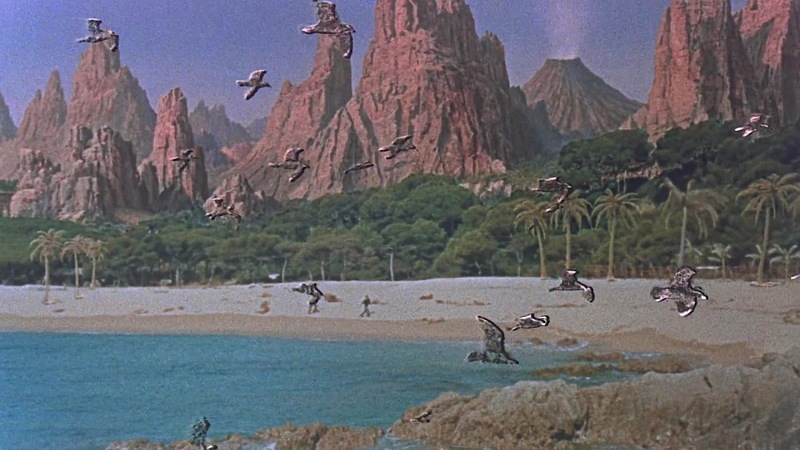 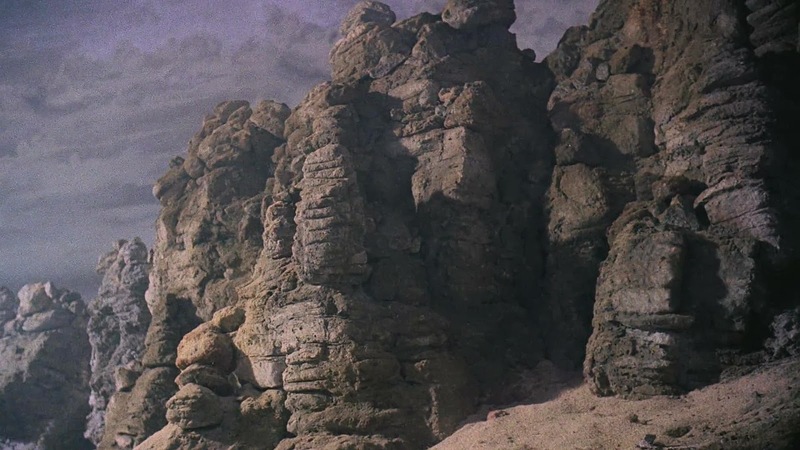 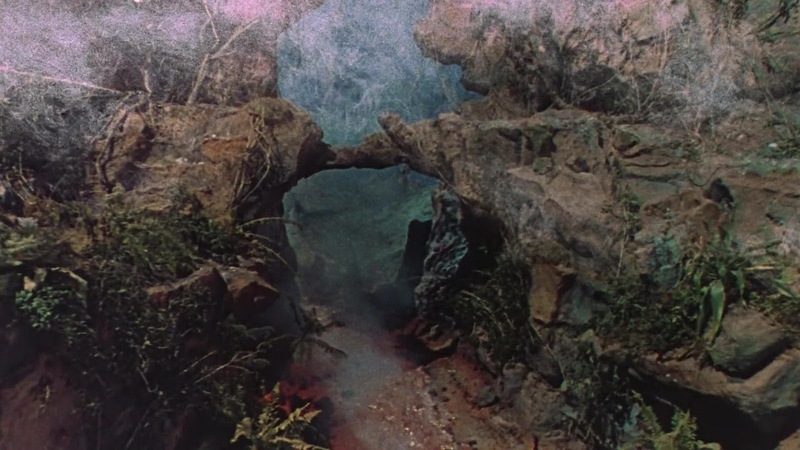 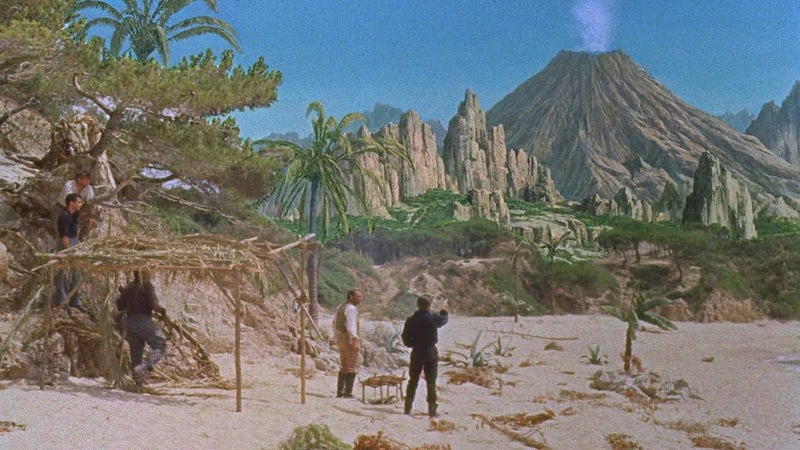 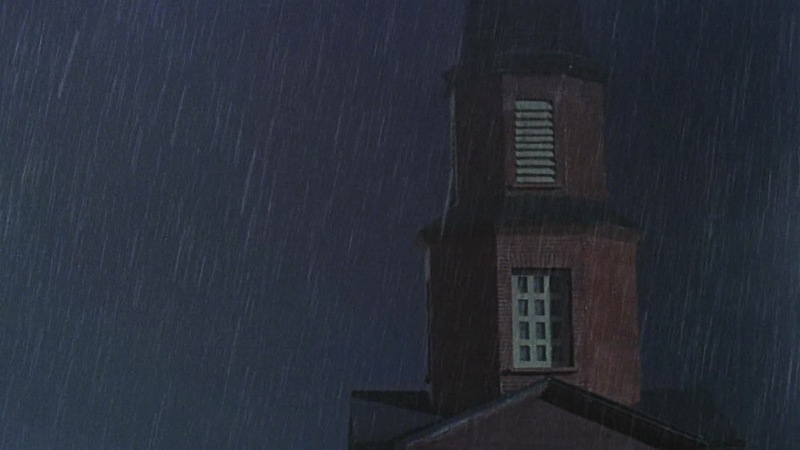 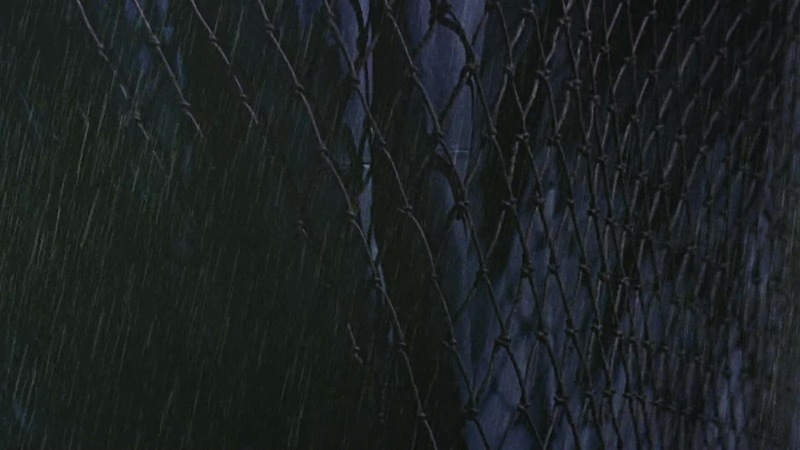 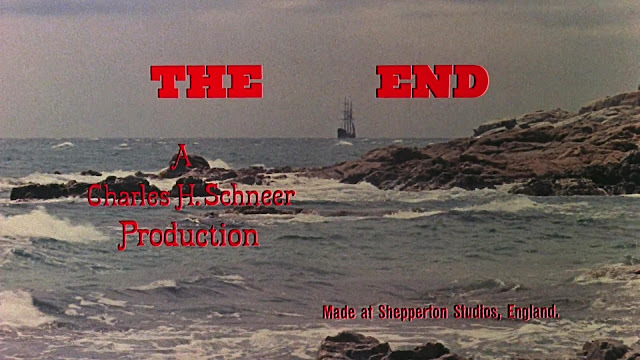 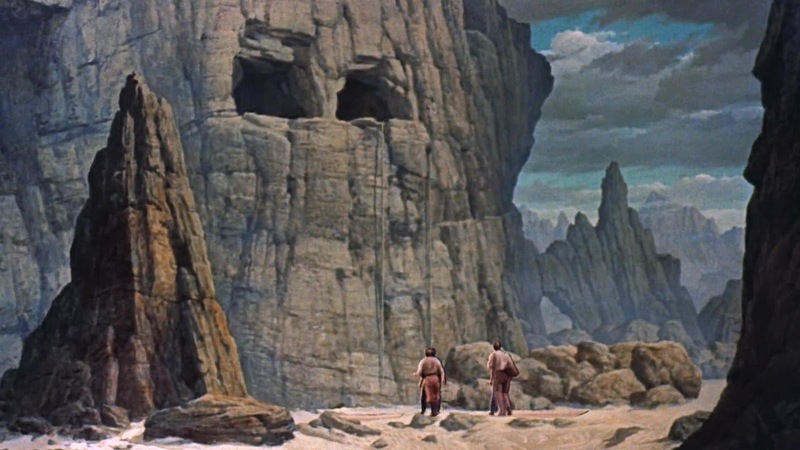 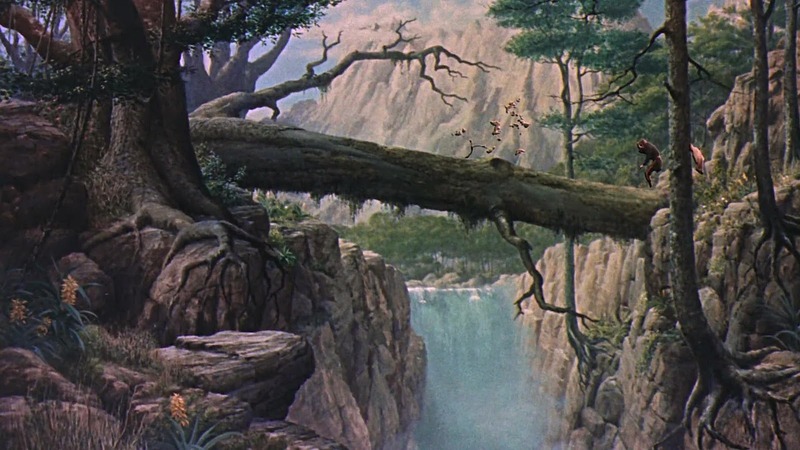 There are also a number of fairly colourful matte paintings that are somewhat less successful. You are right the Lava scenes were taken from a earlier film. 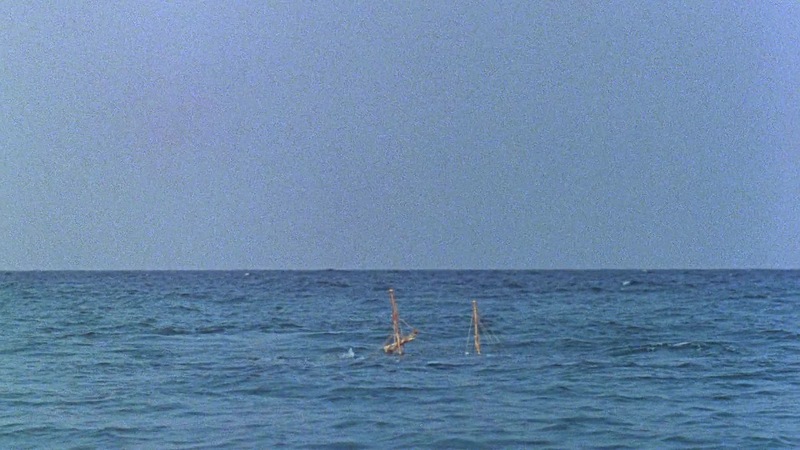 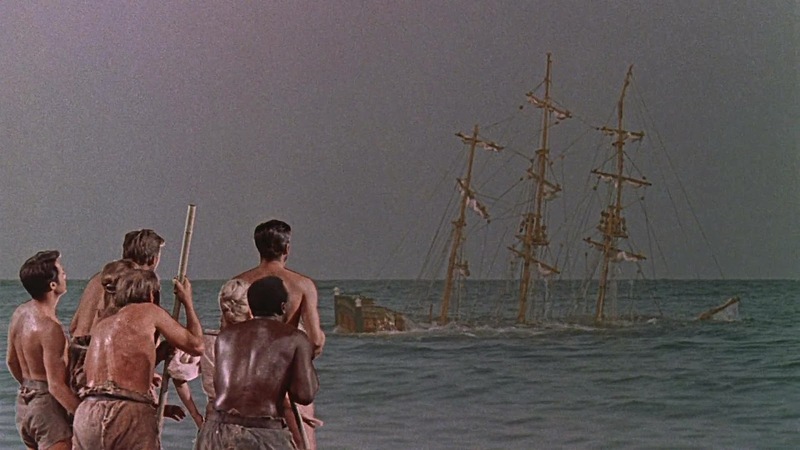 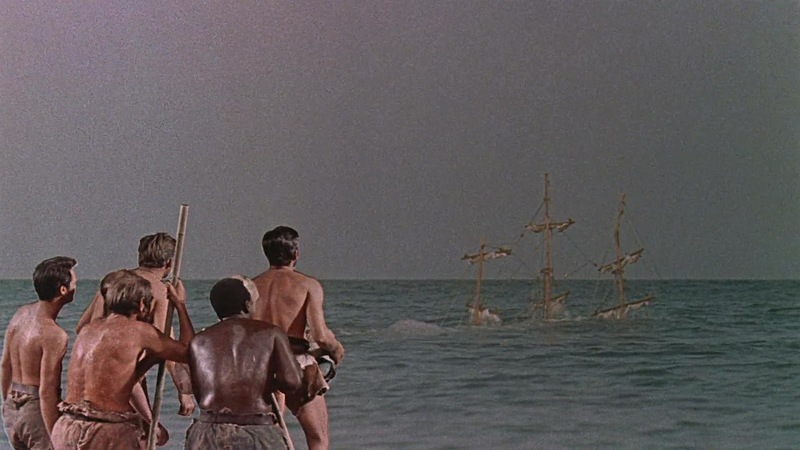 ALOMA OF THE SOUTH SEAS (1941) Paramount, Gordon Jennings SFX. 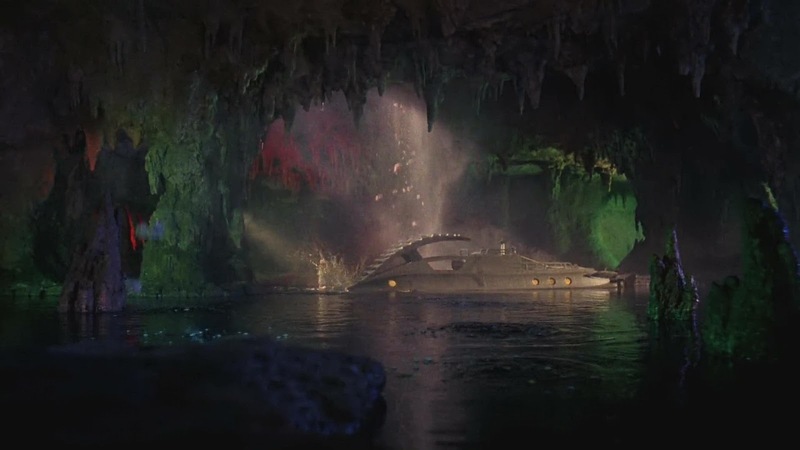 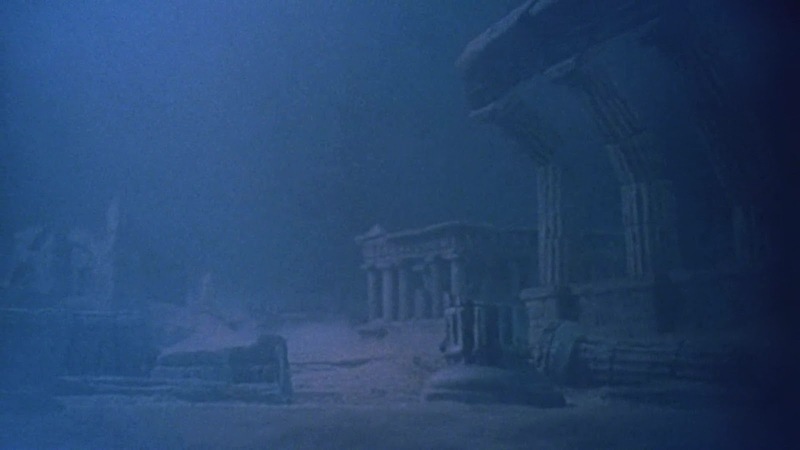 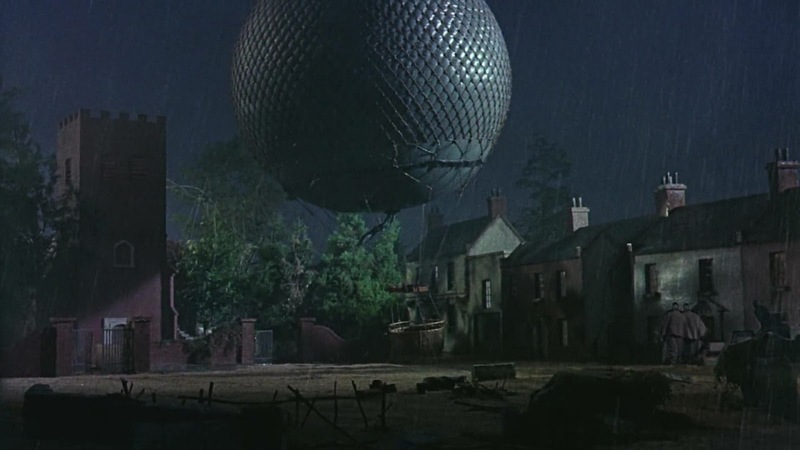 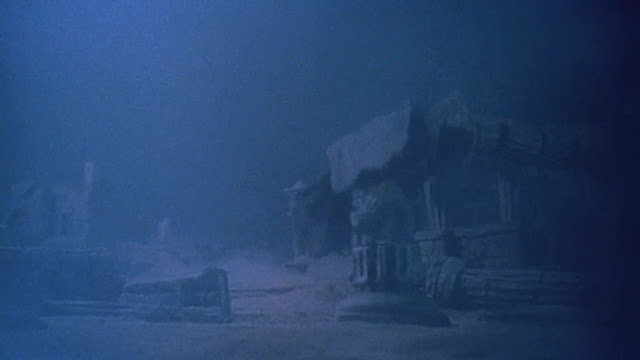 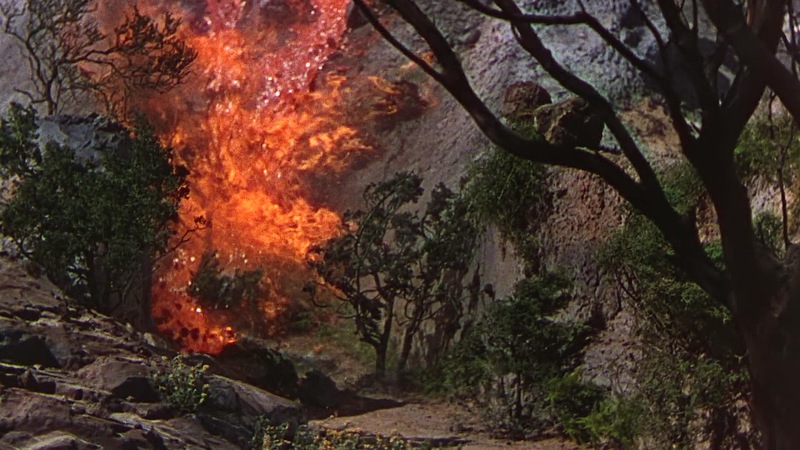 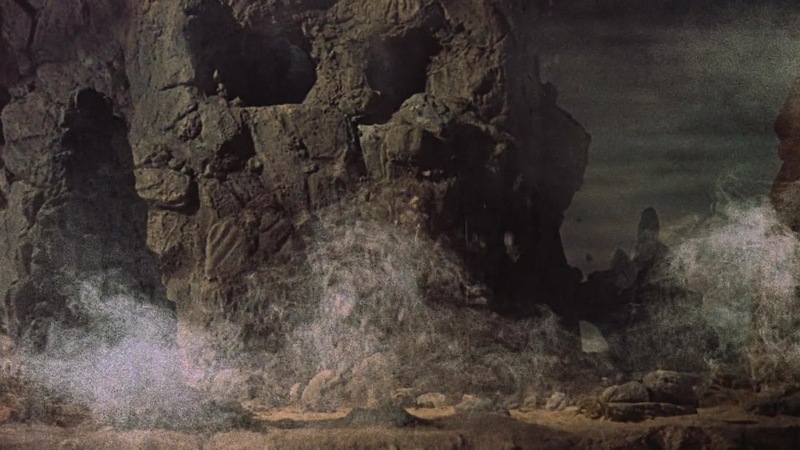 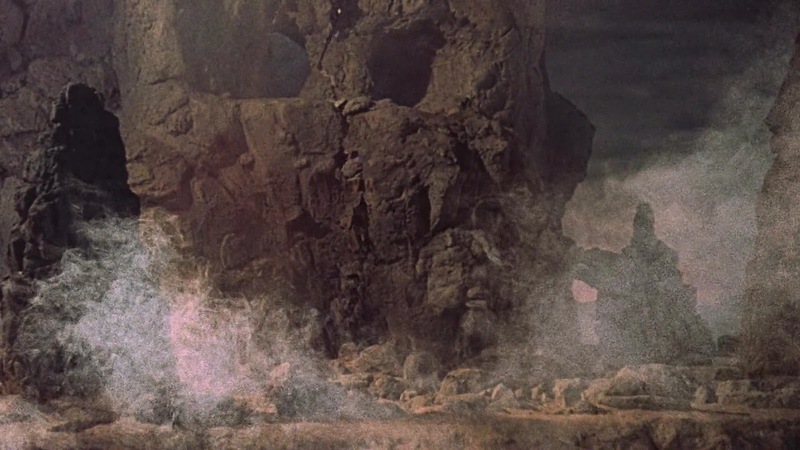 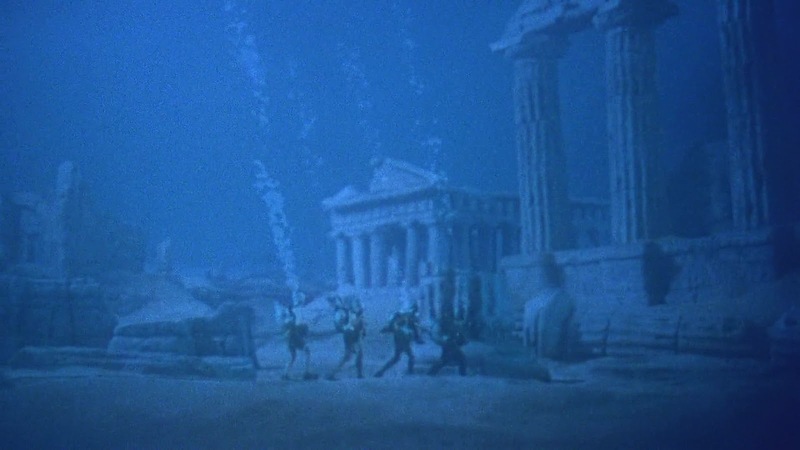 You will also find it used in WHEN WORLDS COLLIDE (1951), ATLANTIS THE LOST CONTINENT (1961) and several others.